Betsy is a speech-language pathologist and autism consultant with 22 years of experience in a variety of settings. She graduated from Austin College with a BA in Psychology and Sociology and from the University of Texas at Dallas with a MS in Communication Disorders. 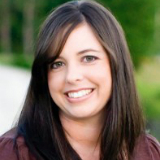 She also holds a Texas teaching certificate and is a certified PLAY Project consultant. In 2010, she began using the iPod Touch and iPad in therapy sessions. Her use of these mobile devices has expanded to include training educators to use them in the classroom. She is a member of ASHA and AAPPSPA. Tricia was a special education teacher for 11 years. She worked mainly with children with significant physical disabilities who all used Assistive Technology to communicate. Tricia currently serves as the Director of Education at The Arbor School, a private special education school in the Houston area. She is passionate about using technology to help children find their “voice”! Mark Giufre is the Educational Technology Specialist for Wildwood School, a private school in Upstate NY for students with autism and related disabilities. He is passionate about helping our educators embed technology into lessons as well as explore the accessibility and assistive features of technology to help our students become as independent as possible. As an Assistive Technology Specialist/Instructional Technologist Ms. Greer’s career focus has been in supporting the needs of adults and children facing multiple disabilities. 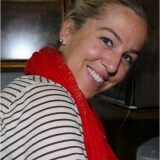 Starting as a teacher of special education, both in the United States and in Europe, Ms. Greer has developed instructional programs that address the unique learning needs of children and adults to enhance the acquisition of knowledge and increase functional independence. Responsive to increased computer technology in education settings, Ms. Greer obtained an advanced degree in Instructional Technology. Additionally, Ms. Greer received a certification in Assistive Technology. Ms. Greer’s current focus at Bancroft’s education programs in Haddonfield, NJ, developed into direct support for teachers, students and administration regarding all facets of instructional and assistive technology; currently focusing on the paradigm shift to mobile technology. Camedra Jefferson M.Ed, is currently a 7th year educator in the Houston Independent School District (HISD) as a Reading Intervention Teacher/Dyslexia Specialist at Lanier Middle School. Prior to becoming a Reading Intervention Teacher, Camedra was a Special Education Teacher and Case Manager in HISD. Camedra is currently working on her second Masters’s degree and certification at the University of St. Thomas in Educational Leadership. 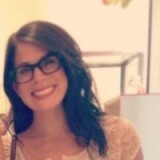 Amy Barry is the Content Manager and Editor at BridgingApps. She has a Bachelors Degree in Elementary Education from the University of North Florida. 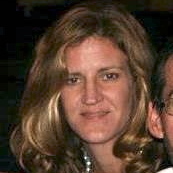 Amy held a Florida Teaching Certificate from 1998 – 2008 and taught inclusion classes in a public elementary school. Amy just completed her Masters in Education from the University of Florida with a concentration in Educational Technology Leadership. Friends and family with special needs have inspired Amy to become a researcher in the field of mobile technology, and she is dedicated to advocacy and improving the physical, social, and educational outcomes of children with special needs. Amy’s passion for life, mobile technology in education and previous work experience are an asset to BridgingApps. Lindsey Williams is a George Mason University graduate currently residing in Minneapolis, MN. After graduating from college as an Elementary Education major with a minor in Special Education, Lindsey taught first and second grade in Fairfax, Virginia. She then moved to Houston, Texas where she taught Special Education for 2 years at The Caroline School and began working with BridgingApps. She is currently a Special Education teacher at The Whole Learning School just outside of the Twin Cities in Saint Louis Park, Minnesota. where she teaches a variety of students with Autism Spectrum Disorders, learning differences, attention disorders, and developmental delays. 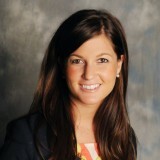 Kelly Knight is the Parent Night Out (PNO) program coordinator for Easter Seals Greater Houston. She worked 8 years in the oil and gas industry as a reservoir geologist before transitioning to education. Kelly holds a MS in Geoscience from Penn State University and a M.Ed. from the University of Houston-Victoria in Curriculum and Instruction. She is a Texas state-certified instructor in Composite Science (8-12), and served on the Texas Education Agency Proclamation 2014 Review Panel. Kelly received her M.Ed. in Special Education in 2014 with emphasis on Autism Spectrum Disorders and acts as the focal point for the BridgingApps initiative in Katy, TX. Danielle is an NBCT Early Childhood Generalist and holds a Master’s in Educational Leadership. She is currently a Peer Observer and Coach with Austin ISD, where she provides feedback and support to Elementary teachers across all content areas and grade levels. She has been in education since 1996, and has worked as an Instructional Coach and classroom teacher, supporting students with autism along with the general education population. Danielle is a passionate educator committed to change, the integration of technology in the classroom and being a positive leader of influence in the instructional practice arena. Hannah Rosenthal is the co-founder of Teaching2gether, a consulting group fostering teacher and developer collaboration to support inclusion in k-12 schools and is also a Professional Development Trainer for Learning Ally. This is Hannah’s 10th year working in schools. Most recently, Hannah served as the Literacy Curriculum Developer and taught in a 2nd and 3rd grade inclusive classroom at Austin Discovery School (ADS) in Austin, TX. Previously, she taught elementary school all over New York City and spent most of her time as a teacher and Learning Specialist at Community Roots Charter School, a completely co-taught, and co-directed, k-8 school in Brooklyn, NY. Hannah is an advocate and practitioner of teacher leadership, collaboration, and innovation, and uses her daily experiences as a model to deepen and strengthen the collective practice of inclusion-minded collaborative educators. She considers every stakeholder in classroom, from designer to teacher, to be a potential collaborator. She works with professionals from all ends of the spectrum to help develop products, programs and practices that match up to strong pedagogy to support all learners. Tara is a graduate of Brigham Young University with a B.S. in Elementary Education. She has been in Education for 16 years with 5 of those years in Educational Technology. Recently she was named a SMART Exemplary Educator. Tara taught elementary school in Provo, Utah and Fort Bend ISD. She is bilingual in Spanish and has lived in Spain. While in Spain she had the opportunity to teach for several years in a Dual Language classroom. Just recently she has worked as an instructional technology coach in Fort Bend ISD, the seventh largest school district in Texas, where she worked with teachers at all grade levels. Her passion is Education and learning new things to pass on to her colleagues. 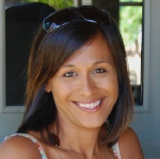 Cathy is a Registered Dietitian with a variety of both clinical and community-based professional experiences. She received her BS degree in Dietetics from Georgia Southern University and her MS degree in Nutrition with a Public Health emphasis from the University of Tennessee where she was a Maternal and Child Nutrition Traineeship recipient from the US Department of Health and Human Services. She has developed or implemented various nutrition and health related projects including a diet intervention project with breast cancer survivors, a weight loss and general nutrition curriculum for incarcerated adults, a literacy-based life skills training program for sheltered homeless adults, and lipid-lowering clinical drug trials for adults with high cholesterol. She brings her knowledge of food, nutrition, and health into her personal life with her joy for delicious food and her love for physical fitness. 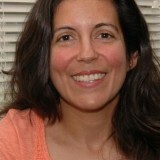 She has years of experience coaching children in a variety of team sports and with Odyssey of the Mind. Her work with medically involved children and their families in an Early Childhood Intervention Program and as a full-time caregiver for a cognitively and physically challenged family member sparked her interest in using mobile devices and apps as therapeutic and empowerment tools by increasing self-sufficiency, supporting independence, and helping with caregiver support. Vicki Windman is a special education teacher who has been actively involved with technology since she began teaching in 2001. With the arrival of the iPad and a few beginning apps that aided children with the basics of Language, Social Skills and Foundational Education apps, she knew this would evolve into an exceptional teaching tool. Working with students with Developmental Disabilities she individually sets up her students’ iPads tailored to their IEP goals. She received teacher of the year four times and received an award for most innovative teacher in 2011. She has been on local New York TV and radio stations sharing her experiences using the iPad with students with special needs. 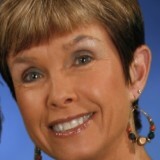 Vicki has written blogs for Tech and Learning Magazine, EdSurge, CommonSenseMedia.org and has been an active participant with BridgingApps.org since their inception. Vicki has her master’s degree in education and is iPad certified by the Texas Computer Education Association (TCEA). 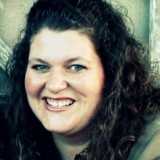 She has taught iPad certification webinars for TCEA to parents, teachers, and therapists. She also teaches use of the iPad to meet the Common Core Standards for IEP goals to school districts in the NY. She is now teaching Seniors how to use the iPad in her local school district. With over 30 years of experience as an occupational therapist and member of both the American Occupational Therapy Association and Georgia Occupational Therapy Association, Dee has worked in almost all areas of OT practice as well as has served as a fieldwork coordinator/assistant professor for an OTA program. She graduated from the Medical College of Georgia in 1981 with a B.S. degree in occupational therapy and completed her Masters in Health Education in 1999. She worked for 10 years in Bibb County Public Schools specializing in treating preschoolers with special needs and children with severe emotional behavior disorders. Presently, she works in an early intervention setting with Babies Can’t Wait as well as with Monroe County Schools. Dee has served Georgia Occupational Therapy Association as licensure liaison to the State Licensure Board as well as the Representative for Georgia to the American Occupational Therapy Association. Dee is married to Bruce Stanfield and they have three adult children Spencer, Skyler and Evan. Her recreational activities include teaching indoor cycling as well as hiking, reading, and traveling. Cristy Gamez-Galka joined Easter Seals to promote their mission of recovery by providing skills and supports to assist people of various abilities to enjoy their lives in the communities of their choice. Cristy graduated from the University of Houston with a Ph.D. in Clinical Psychology. After completing her internship at the University of Miami/Jackson Memorial Hospital, she took a wonderful position in Denver, Colorado offering mental health services in a residential setting to Native Americans before re-locating back to Houston to work with Veterans at the VA hospital. She has provided mental health care to nursing home residents, has a private practice, and is excited to be part of Easter Seals Houston’s BridgingApps program assisting older adults with accessing technology to meet various needs. She lives with her son and daughter in Houston. Veronica is co-founder and Director of The Music Therapy Center of Houston. She holds a Bachelor’s degree in Music Therapy and Master’s degree in Education K-12, Assessment, Curriculum and Instruction. 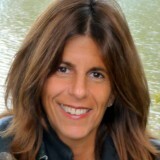 Additionally, Veronica is licensed and certified in several other therapeutic modalities/ teaching methodologies and is a Fellow of the Robert F. Unkefer Academy of Neurologic Music Therapists (NMT). Over the years Veronica has worked with a variety of populations and age groups in and around the Houston area. She currently serves on different boards and holds memberships in advocacy groups to help educate and promote music therapy awareness locally, regionally and nationally. Veronica actively presents locally, regionally and nationally about a music therapy and related topics and was asked to be an adjunct writer for the Association for Supervision and Curriculum Development. In 2011 Veronica was honored with the Southwestern Music Therapy Association’s award for “Clinical Practice in Music Therapy” and given an honorary membership in the Tau Beta Sigma Sorority Chapter at the University of Houston for her service and work with children and charities work over the years. Aside from her work at The Music Therapy Center of Houston, Veronica has been the music therapist and music therapy internship program director at The Rise School of Houston, a non-profit early intervention preschool for children with and without developmental disabilities ages 6 months to 6 years of age since 2000.